Dacor unleashes creativity and inspires play among Modern Entertainers through its suite of next-generation creative tools. 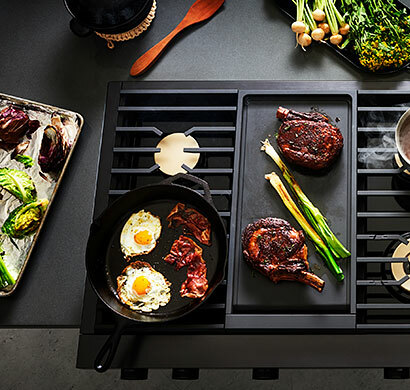 The Modernist Collection takes Dacor legacy of Techcraft to the next level by applying radical, relevant innovation with craftsmanship to profoundly reimagine the luxury kitchen. We believe appliances should be more than just functional machines that cook, cool and clean. Infusing cutting-edge technology with timeless craftsmanship, the Modernist Collection of next generation creative tools are beautiful, intelligent, co-stars that transform the kitchen into a stage for imagination, experimentation and play. The Pro Dual-Fuel steam range features Real Steam™ offering a healthier, faster preparation combined with the power of convection. The Four Part Dual Pure Convection oven allows you to cook different types of food without odor transfer or uneven cool and hot zones. 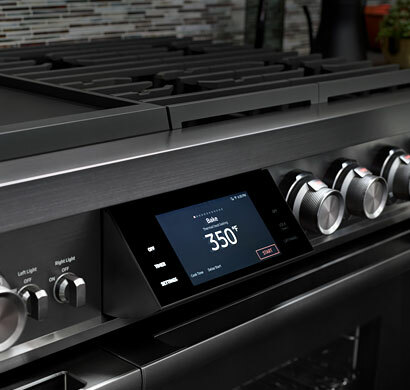 The Dacor iQ Kitchen app gives you control even when you’re away from the kitchen. Modernist column refrigerators are customizable columns that fit seamlessly with cabinetry lines, doors open to reveal stunning interiors crafted with authentic materials of stainless steel and glass with dazzling LED lighting, a seamless water dispenser, dual Icemaker with Cocktail Ice™ and Wi-Fi-connected dual cameras. It’s as smart as it is stunning. 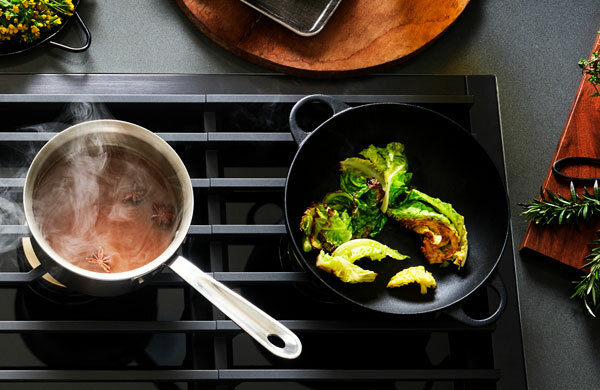 Modernist rangetops and cooktops combine beauty and function to help you create unforgettable meals. Each features high power cooking power with up to 22K BTU down to precision simmering and melting at low heat. 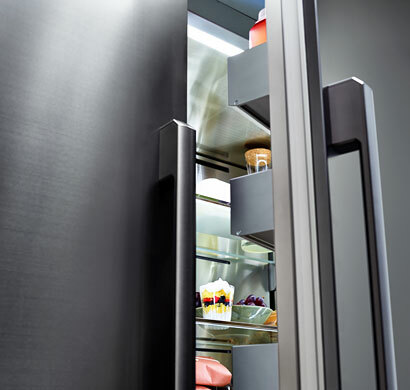 Dacor also has Diamond like carbon coating which offers heat-resistant and tough beautiful surface.g. Modernist convection wall ovens in single and double configurations blend Steam-Assist and Four Part Dual Pure Convection for powerfully precise cooking and baking. Steam Roast and Steam Bake modes use the benefits of moisture to help you turn out healthy, flavorful dishes. 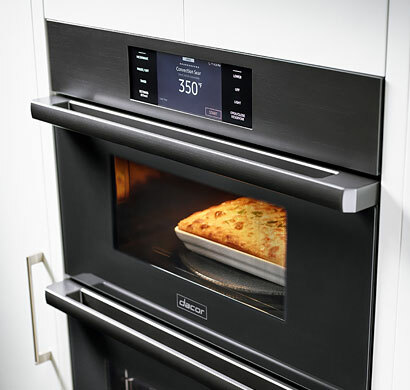 The Modernist Collection wall ovens ensure every meal is worthy of applause. A Revolution. Introducing the Modernist Collection. 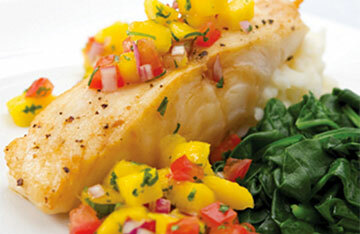 Try this featured recipe from Dacor and be inspired to share it with your family and friends. 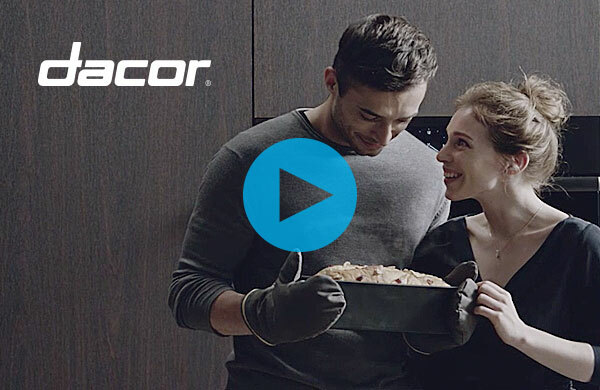 Experience a professional live cooking demonstration with Dacor experts.